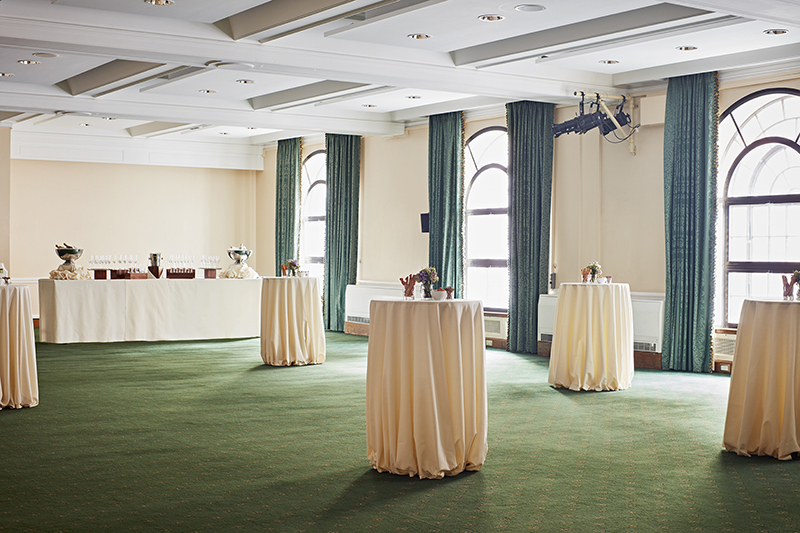 The Harvey Goodwin Suite is a most modern and spacious event space at Church House Westminster. The room is self-contained with male and female washroom facilities and a staircase below the room which leads directly to the Robert Runcie Room on the lower ground floor, which can be used for teambuilding or seminar breakout sessions or catering space. This meeting and conference room is situated close to the Great Smith Street entrance, conveniently located for guests. It has large floor-to-ceiling arched secondary glazed windows which allow for a lot of natural daylight in to the space, whilst also ensuring the room is sound proofed. 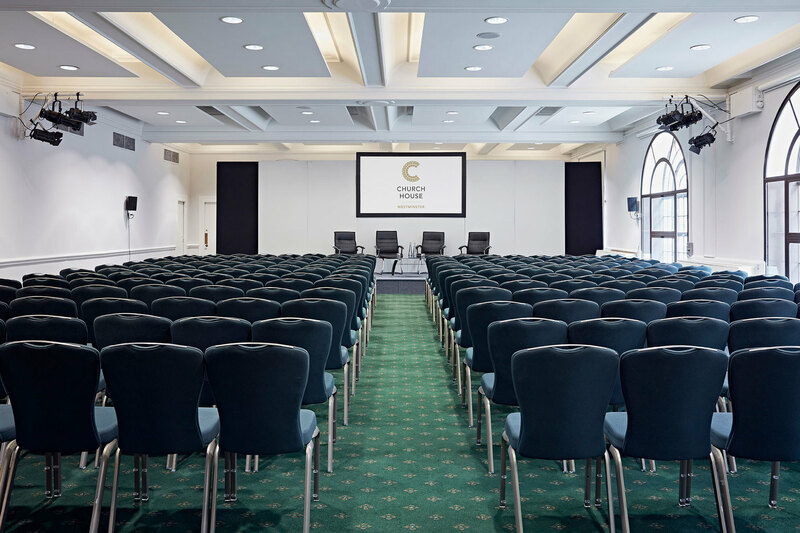 The Harvey Goodwin Suite is most often used for meetings and conferences, it can seat 180 delegates theatre style and 96 cabaret with 12 tables of 8 delegates. 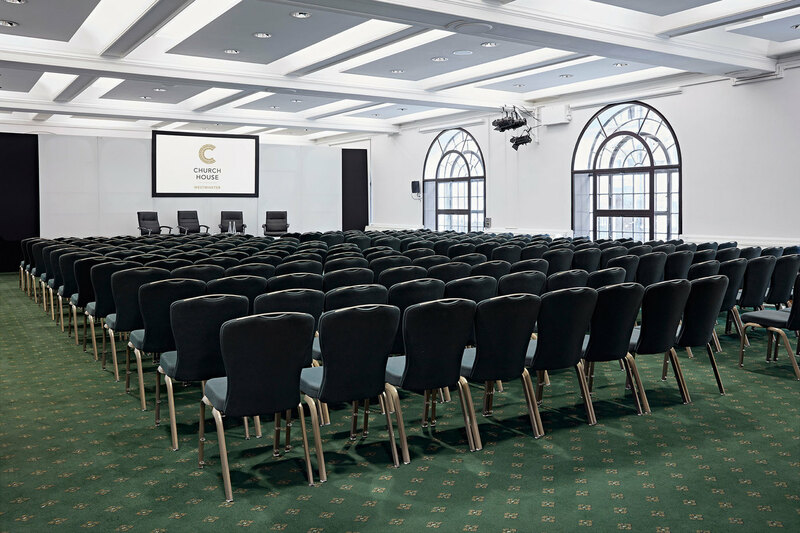 There are audio visual packages put together by our in-house audio-visual team for this room that will compliment your conference or meeting. Seated lunches and dinners are also an option in this event space, it caters for 150 guests for a seated lunch or dinner, and again audio-visual can be used to transform the space and provide the right ambience suited to your event. There are also many delicious menu choices on offer from our in-house catering team with seasonal dinner menus and brilliant bowl food, canape and finger food choices too. This event space has been used for a wide variety of events including AGM events, Christmas parties, conferences and more. 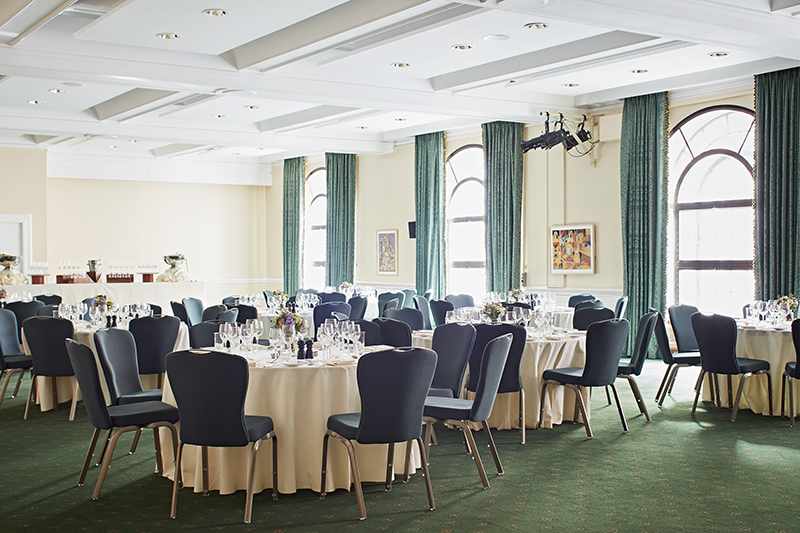 The central London venue has a unique location in the heart of Westminster located in the peaceful Dean's Yard Square next to Westminster Abbey with excellent transport links including tube, overground and bus routes.